Growth Hacker? Or Growth Marketer? I don’t like the way the word “hack” is being thrown around willy-nilly, especially in regards to marketing. And according to some definitions, I’m actually a growth hacker. I don’t like it. The term “growth hacking” never registered on my radar until recently. Now I’m seeing it everywhere. How about, um, just growing naturally? I participated in a tweetchat a few weeks ago about #growthhacking and that same question came up numerous times – how is growth hacking different than marketing? And, how is hacking necessarily a good connotation when it comes to marketing? That short conversation didn’t seem to get very far, but I still felt like I was missing some secret marketing approach that was going to save me oodles of time and headaches. Isn’t that what hacking means these days? Over the past few months I have been visiting the GrowthHackers forum periodically, checking out videos on GrowthHacker.tv. There are some great ideas, and some excellent resources. But I couldn’t seem to definite it differently from smart marketing. So I looked it up. I first came across growth hacking via Mattan Griffel, partner at GrowHack, who defined growth hacking as “a set of tactics and best practices for dealing with the problem of user growth.” You can check out his primer on Slideshare (you can skip to slide 43, and if you’re short for time go straight to slide 102 through 137) but it all looks so, so familiar, including A/B testing, email marketing, and segmenting your audiences. I dug a little deeper, and discovered Sean Ellis first described a growth hacker in 2010 as someone in charge of scalable growth, primarily for start-ups, without the inflated credentials of a traditional marketer. growth hacker (noun) – one who’s passion and focus is pushing a metric through use of a testable and scalable methodology. In this case, a growth hacker is someone who is more concerned with achieving the growth metric rather than getting bogged down by a defined process. I really like Aaron Beashel’s process in 4 Stages of Growth Hacking, but to me, this is far from a hack, it is a legitimate painstaking process to build customers. It’s work, there are no shortcuts, so why is it hacking? Nick Usbourne, a self-proclaimed “growth hacker since 1979” (back then we called it “direct marketing”) reviewed Growth Hacker Marketing: A Primer on the Future of PR, Marketing, and Advertising, and concluded that much of growth hacking is marketing. Patrick DiChiro took another approach last year, distinguishing the differences between growth hackers and brand marketers, concluding that in order to be successful, the two roles will ultimately collaborate together. And recently TechCrunch article depicts how growth hacking can go “bad” to spammy digital marketing shortcuts, especially to meet investor expectations. It seems like what once had been defined as a creative, start-up marketing role in 2010 has evolved into as using aggressive tactics that just annoy and infuriate users. So Do We Have To Use The Word “Hack” When Talking About Marketing? Personally I still define the word “hack” as unauthorized entry into a system, or cobbling code together as means to get to a desired outcome. 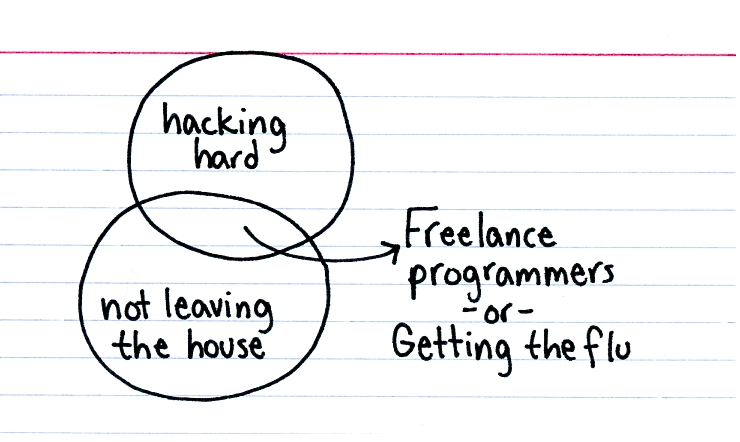 The phrase “hack job” implies you have no idea what you are doing. And, in case you were wondering, the word “hack” originates from the word hackney, which can mean, “To cause to become banal and trite through overuse.” My friend Kristy Bolsinger shared this ridiculous article where two of the “it” jobs to watch for startups have “hacker” in the title. Yet all these definitions and descriptions about growth hacking sounds a lot like what I do. Maybe I’m old fashioned and tired of buzzwords, but I would rather explain exactly what my role is in a company and talk about growth and engagement. Because all I can think of is hacking and wheezing. So let’s just stop already. Stop with the "hack" crap. You're not "hacking". You're just doing. Perhaps a bit cleverly, but none the less. Just doing. That is all. This entry was posted in Marketing, Social Media, Web Strategy and tagged growth hacking by Monica Wright. Bookmark the permalink.